Blues is My Middle Name: Is Bigger Always Better? This is the question posed by South Nottingham College. On the 1st July 2011, they took over the running of Castle College, who had run into financial difficulties. (The official description is merger). Being one of the smaller colleges in the area, I guess that they are always competing with others for student intake. The above sign can be found outside the former Castle College campus on Maid Marian Way, now one of a growing list of South Nottingham College (SNC) buildings. The question is an interesting one. Are those colleges which are bigger than SNC, better than them, just because of their size? Purely from reading press reports around the 'merger', the expected size of the new college is a bit confusing. In the Guardian of the 7th July we read, "A 2011 merger will see South Nottingham College grow considerably in size". Later saying that "the total number of higher education students for the two colleges in 2010/2011 was 350, but future capacity has yet to be confirmed for the merged institution". However, in the Independent newspaper, on the 1st July it said that the college was "expecting 43,000 students in its first intake after the merger". I've no idea how these figures compare on the size scale of further and higher educational establishments, and to be honest I can't really be bothered to check; it however, just doesn't seem that small to me. Let's take for granted that one size doesn't fit all. But to answer the question, we have to delve a little bit deeper, and ask what do we mean by 'bigger', and what does 'better' mean? Take this scenario, as unlikely as it may seem. I'm out on a dark night, and I'm confronted by a group of 6 foot thugs, who are out to engage in mayhem. On the surface, bigger is better. 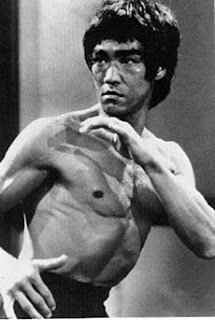 Beside me is Bruce Lee, the martial arts phenomenon, a much smaller man, and he's on his own (there's no good looking to me, as I'd be useless). I know it's unlikely, as Bruce Lee died in 1973, but please stay with me. The group of thugs would not stand a chance, and would be routed in no time. Under these circumstances, bigger is not better. I base this scenario on one of Bruce's party pieces. He would have a man stand in front of him holding a coin in his outstretched hand. Bruce would have his arms down by his side, and would take the coin from the man, and leave a penny in its place before the man could clench his fist. That's the sort of friend I want with me in the unlikely event of being confronted by a group of large thugs (any size really) in an alley, on a dark night. Better, is more appropriate than bigger, under these circumstances. You've probably detected an underlying love of martial arts films here, and you'd be right - guilty as charged. But let's get back to the real world. Are we asking is bigger better for sustainability or service provision? South Nottingham College is now bigger, and should therefore be better equipped to sustain itself financially, as core costs can be spread out across a greater range of income sources. This is often called economies of scale. Financial sustainability though, does not mean that the educational process is better. The former Castle College had as its Motto, "To unlock potential, raise aspirations and deliver excellence". Size on its own will not achieve this end. 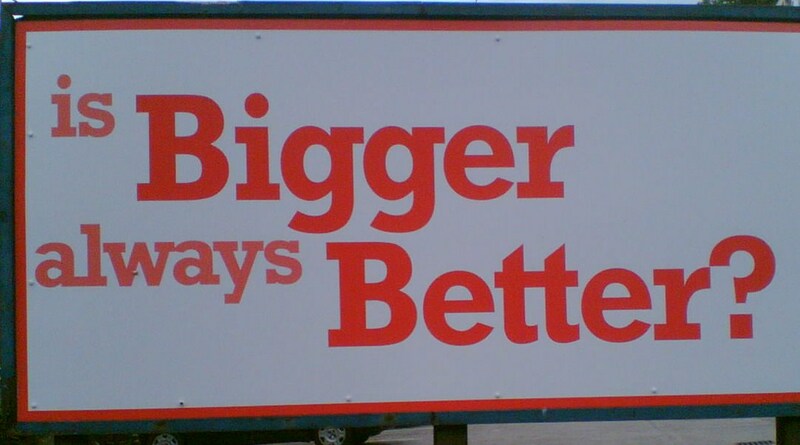 So in this case, 'Is Bigger always Better?' evokes the answer, not necessarily so. In a way, it depends who's asking the question, and why? In a recent interesting survey of 2,900 workers in Australia, 73% wanted to work somewhere else. Where? Google stole the top spot, with Virgin coming in second. Apple took fourth place, followed by Qantas, The Walt Disney Corporation, Sydney Water, Getaway and Coca-Cola. To these workers, bigger was better, as brand recognition was cited by 41% of them as a factor pushing them towards their choice. The survey conducted by Insync and RedBalloon commented, "Do people honestly believe that bigger is better, or do people like to hide within a large corporate business, rather than be accountable within a Small to Medium Enterprise (SME)?" My employment has always been with SME's, but my involvement with others has often been with large public or private bodies. Is bigger always better? There is of course no definitive answer to this question, as we must always say, it depends. There are pros and cons, though I do tend to like the view of Voltaire, who said, "God is not on the side of the big battalions, but on the side of those who shoot best". In my view, 'shooting best' means that the end product is better. If bigger has a better end product, then bigger is best. If smaller has a better end product, then smaller is best. Let me give you two examples from my experience, which will highlight why I say, in answer to the question, it all depends. One is from the Public Sector, and the other from the Third Sector. During the early to mid 1990's, my organisation worked with the East Sussex Probation Service to provide accommodation and support for those clients who were under Probation supervision in a small geographical area. It worked well. The Senior Probation Officer responsible for the contract worked down the road, and we were able to meet regularly to discuss the work, solve any problems and make quick decisions. A few years later, it was decided to merge the East Sussex Probation Service with the West Sussex Probation Service to form the Sussex Probation Area. There was the inevitable 'rationalisation' of their services, as you no longer needed two of everything. 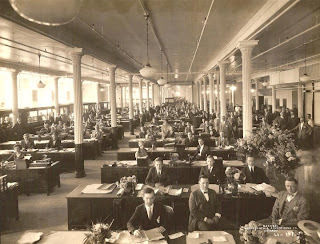 Some senior posts disappeared, along with some finance and back office staff. A new structure was in place, which meant that local contact was diminished. Problem solving and decision making took longer, with the result, in my opinion that the end product was tarnished. In this case, bigger was definitely not better. Since leaving the work, I have learnt that Sussex and Surrey have merged to form the Surrey and Sussex Probation Trust. It's now therefore, even bigger. For about twenty years I worked closely with a Third Sector organisation in Sussex, which grew to become one of the foremost organisations in England and Wales, working to provide safer communities and healthier lives. With around 200 projects; 2000 staff and a budget of over £50 million, it could so easily have been caught up in the corporate gravy-train. But it hasn't. Growth has enabled it to have a strong infrastructure, with sound HR and Finance departments, which has allowed excellent opportunities for staff training and staff progression. Working with so many contracts, has also allowed it to keep its management costs low, so enabling it to present very competitive bids. Its philosophy in working with 200 projects is exactly the same as for when it was working with one. This has meant proven success with the client group, which is the main aim of any service delivery. The end product was good. In this case, bigger is better. What do you think? Is bigger always better? Will the answer be different for Government, Education, Business, Third Sector, or any other field? Or do you feel like me, that the question needs to have an autopsy performed on it, to examine the pros and cons? You may well come to the same conclusion, and say, "It all depends". Over to you, Is bigger always better?